Yeah, but: No, I didn't inadvertently use one photo twice. 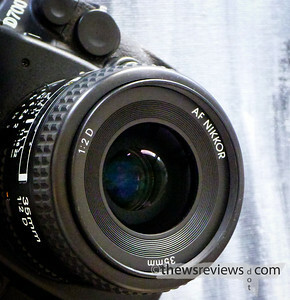 The Long Version: I've never really liked the Nikkor 35/2 AF-D lens, but I bought it anyway. Simply for the sake of versatility I wanted something wider than my 50/1.8D for my F-mount cameras. As always with SLR lenses, price ramps up very quickly as the focal length and apertures decrease, and the 35/2D was as far as I could bring myself to go. Nikon wide lenses simply aren't as good as my Zeiss or computer-assisted Panasonics, so I knew I would need to lower my standards a bit. This is the point where I should be saying that I've changed my mind and now have glowing opinions of the lens, but that just isn't how it's worked out. It's the best 35mm "FX format" lens – a term nearly a decade away when it was designed – that costs less than a thousand dollars, but as it stands there's a very big gap between the f/2D and the new f/1.4G 35mm lenses. It would be nice to have an option in between the functional and the phenomenally expensive. All Nikon AF-D lenses need a camera with a screw drive to autofocus, making them duds on the cheapest bodies but they can be screaming fast on the higher-end cameras. The 35/2's focusing is very quick and has an excellent minimum distance of 25cm, or about a handspan from the camera body to the subject. There is some focusing noise, but if anyone thinks that it's objectionable then they'll probably be knocked over by the ensuing thunderclap from the shutter. Optically the results are decent, with strong centre sharpness that peters out toward the corners, but the big sin for me is its strong barrel distortion. The salvation of the 35/2D is that digital redemption is possible with software lens profiles. Lightroom/ACR has this built in, and other programs are also capable of fixing some optical flaws. There's a lot to be said for lenses that don't need to be fixed in photoshop, but as the Panasonic in-camera processing demonstrates, it's an increasingly viable way to solve problems. The 35/2D is a midrange film-era lens, and it shows. With film vignetting isn't as strong; sharpness and distortion is less significant on film than on those unforgivingly flat and flawless digital chips. As a lens of only minor personal importance, the performance of the 35/2D is adequate but leaves me uninspired. As a result this lens normally lives on my F100, where it's comfortable and not often disturbed by needing to be moved to my D700. I've never really liked the Nikon 35/2 AF-D lens, but I'm glad that I bought it anyway. I almost exclusively use the 85/1.8, 85/2.8, or 105/2.8VR on my Nikons, but without the 35/2D, there are times when I would have had to leave the big SLRs at home. So even though the 35/2 is in third place – at best – on the list of wide-angle lenses that I reach for, it's the enabler lens that completes the Nikon set. And when the cameras are that good, sometimes it's okay for the optics to just be good enough. The 35/2 AF-D would be my purchase (if I switch systems). While the lens is nowhere near perfect, I still like it so much more than the Canon EF 35/2. I wanted a good street shooting 35mm, even though I have the 35-70 2.8 which is a very good PJ lens, its too big sometimes. I just bought a new 35 f2 and I think I got a good copy. Even wide open it's sharp in the center. 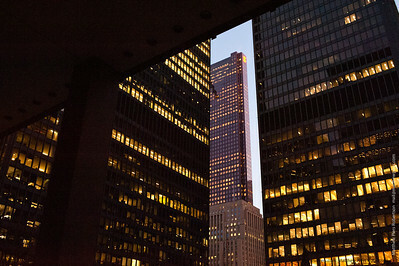 Corners are not spectacular, but I dont shoot landscape or architecture so it isnt a big deal. A terrific very small walking around lens that even does pretty decent close focus.